Step out with a bang this holiday season with one of these fierce and ultra-versatile crop tops. 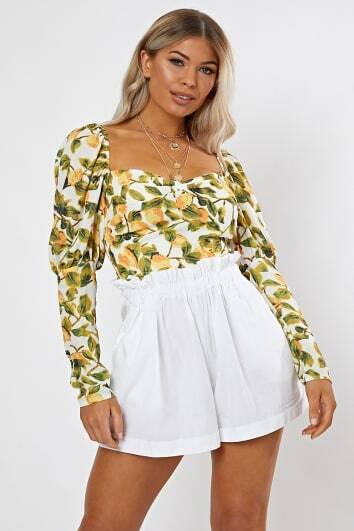 Whether you’re working it poolside, at the beach or you're chilling out in a park back home, these crop tops can be worn with everything from hot pants and skinny jeans, to fashion trainers and skorts to create super sleek, chic and fabulous looks. You'll find everything from simple black, white and check crop tops, to short tops featuring long sleeves with tie fronts and bold or retro inspired patterns. They may be short, but they'll put you a cut above the rest in the fashion stakes.